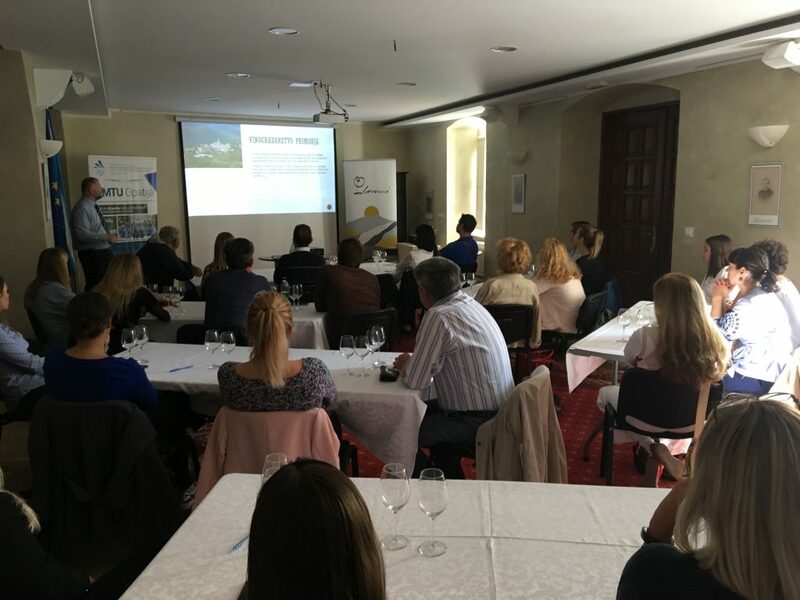 The workshop was organised in cooperation with Kvarner region and city of Kastav Tourist boards. 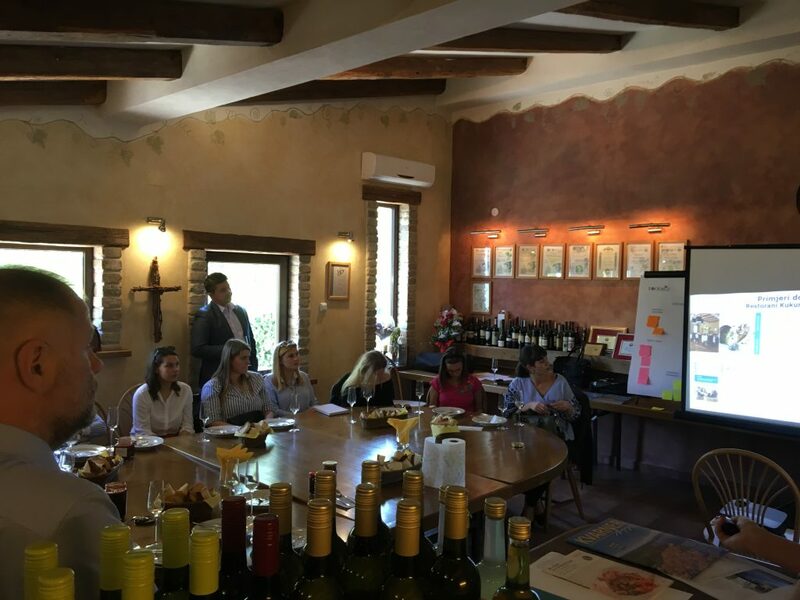 The main topic of the workshop was pairing of autochthonous wine with autochthonous food products. An expert oenologist opened the workshop with the topic of autochthonous wine. 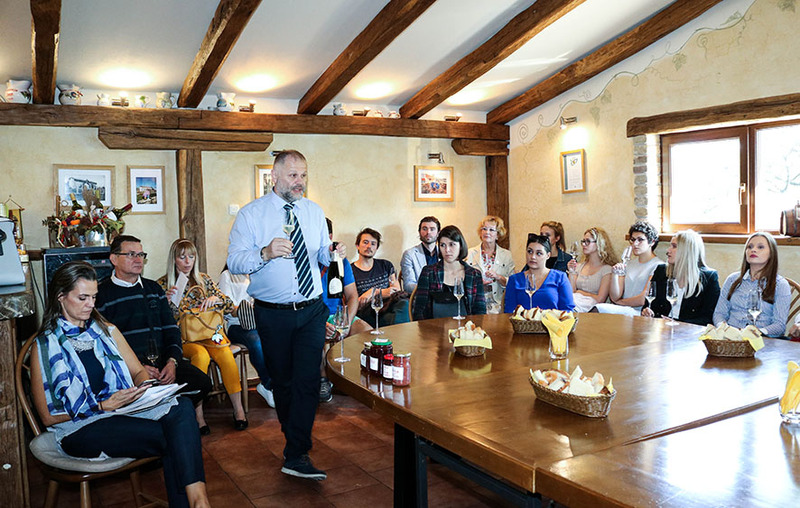 A special emphasis was given to one of the wine sorts of the sensory analyses – Kastav belica. The participation was free and limited to 30 participants regarding the sensory analyses. The actual number of participants attending the workshop was 40 but this number also includes the Faculty staff, speakers and a journalist. The participants ranged from researchers, students, professors, business players (producers and hospitality industry representatives) and public sector representatives such as regional chamber of commerce representative, City of Kastav, County of Primorsko – goranska, Kastav tourist board and Kvarner region tourist board were mostly represented. The workshop started around 10.00h as planned and all activities were over by 14.30. The extra time was on account of concluding remarks discussion. The autochthonous wine and groceries were purchased and/or donated from local food producers of Kvarner region, of which some attended the workshop. The results of ratings of various autochthonous food and wine pairs were processed during the workshop. They were presented to the participants at the end of the workshop by prof. Greta Krešić, PhD from the Food and Nutrition division of the Faculty of Tourism and Hospitality Management in Opatija. The surveys from the participants showed strong positive perception of autochthonous products as generators of rural development with positive effects on the preservation of cultural heritage. They also perceive that their originality must be preserved. 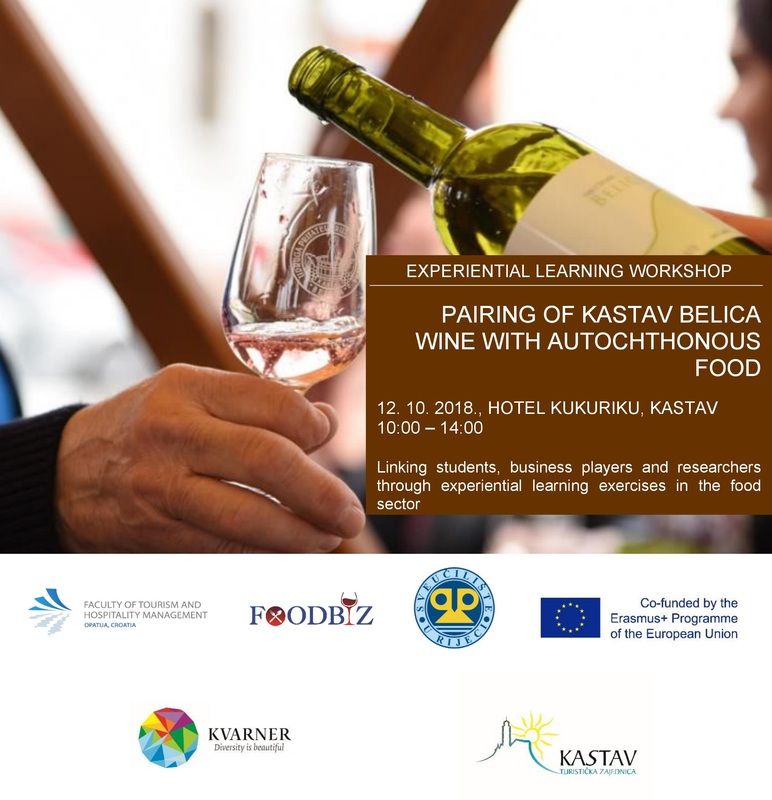 The conclusion of the workshop was that Kastaf belica is now already recognized as an autochthonous trademark and wine brand of the city of Kastav. The tasters accepted and graded both wines of autochthonous sorts very well overall. The findings of the workshop also implicate that there is a large unused potential in pairing of Kastav belica and autochthonous food. Namely the Kvarner shrimp and curd cheese. These findings can be used in additional promotion of the region of Kvarner as tourist destination but also in the promotion of producers themselves.